Here’s the history of the mainstream music industry in a nutshell. Industry executives slide their greedy little hands into good music and murder it — rock ’n’ roll, pop, hip-hop, indie rock, country and even jazz and classical music to an extent. 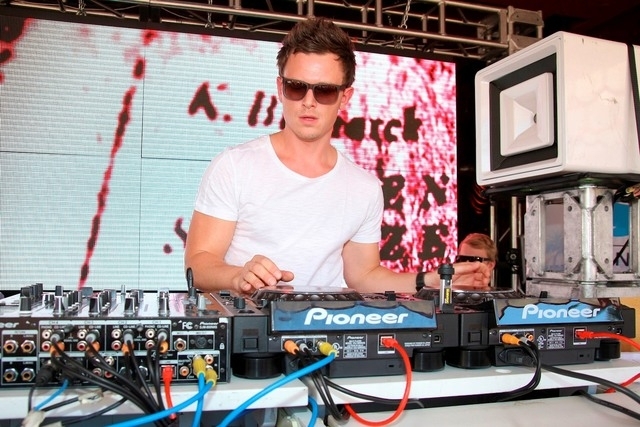 Fedde le Grand performs Saturday at Surrender nightclub in the Encore. That’s why I worry the mainstream industry also will drown the best qualities of electronic dance music, eventually. But when I tell EDM DJ-producer Fedde le Grand about this fear, he calms me down — only after he agrees that the mainstream will try to destroy EDM. “The big bubble we’re in now might burst. But I don’t think it will die out. I’m not afraid of that,” le Grand says. What executives should say instead is the opposite: We made a lot of money off of this talented person, so let’s go hire another talented person, especially if he or she is doing something different than everybody else. Le Grand (who DJs Saturday at Surrender) still isn’t calming me down. But I will let him try again. Hmm. That is a good point. For instance, commercialized pop ate itself a long time ago, then it was reborn, then it ate itself again, then it was reborn, and so on. American music is like a horror monster. It is entertaining, but IT LIVES! I prefer to think of mainstream music not as the phoenix rising from the ashes so much as relatives of the creatures from the “Alien” movies, morphing into shiny new beasts after destroying everything in sight, and leaving behind disgusting carcasses of used skin everywhere. But anyway, back to le Grand. He has beaten the mainstream system by Trojan Horse-ing it, by incorporating chunks of it and imploding it from the inside. His performance gigs seesaw between mainstream dance places (clubs and festivals that enjoy pop hits) and underground dance spots (clubs and fests where DJs are free to play to a mood). “I’m kind of in between upper and underground. That’s the perfect spot for me,” le Grand says. So anyway, he is not fearful about the mainstream destroying dance music. “I’m not worried. I mean, take Carl Cox, for instance. He’s been around for 30 years or so. That’s what I’m going for,” le Grand says. He says we should consume mainstream music as carefully as we eat popular fast food. “Every now and then, it’s fine to go to McDonald’s or to have a burger,” he says. “But if you eat it every day, you’re gonna get sick. Doug Elfman’s column appears on Page 3A in the main section on Mondays, Tuesdays, Thursdays and Saturdays. He also writes for Neon on Fridays. Email him at delfman@reviewjournal.com. He blogs at reviewjournal.com/elfman.